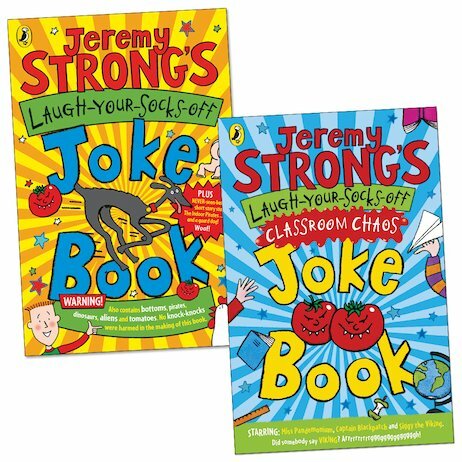 A barmy bonanza of funnies from the king of kids’ comedy. Prepare to laugh your socks off in super-silly style! 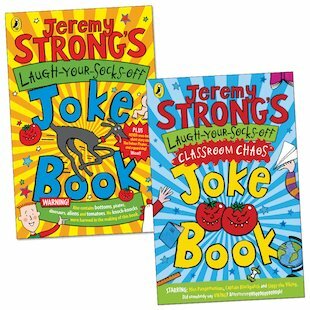 Packed with crazy chuckles to share out at home and school, this nutty pair of books brings you jokes, gags, puns and giggles galore, not to mention daft excuses, ridiculous riddles and DIY school reports. What else? Well, you’ll find all your favourite characters and themes prancing between the covers: Streaker the dog, naughty pirates, trolls, superheroes, karate kicks, killer tomatoes, time-travel, mad grannies and more. All the cheeky chuckles you love so much – jammed into one pack of madcap madness!